Musician and the Kyadondo East MP, Robert Kyagulanyi Ssentamu commonly known as Bobi Wine has finally confirmed that he’s ready to compete with president Museveni for Presidency in 2021. However, for two consecutive years now, the “Kyarenga” singer has been paving way to see his break through among the youth in Uganda who can lead this Nation and he has finally declared that he’s ready to contest in the upcoming presidential elections in 2021. The Kyadondo East MP surprisingly became popular through his political movement called “People Power”, which is alarming across boarder. This opposition movement was joined by so many people especially the youth including some FDC members who were allegedly said to have joined the group silently. Therefore during the interview on CNN, Bobi Wine confirmed that he’s ready to run for Presidency in the 2021 General elections. This was a tough decision for the young man to compete with the 72 year old Politician, Mzee Kaguta Museveni. “We want to have many Ugandans registered as voters and overwhelming Museveni looks like our only way out. Many people have come to me calling for me to stand. 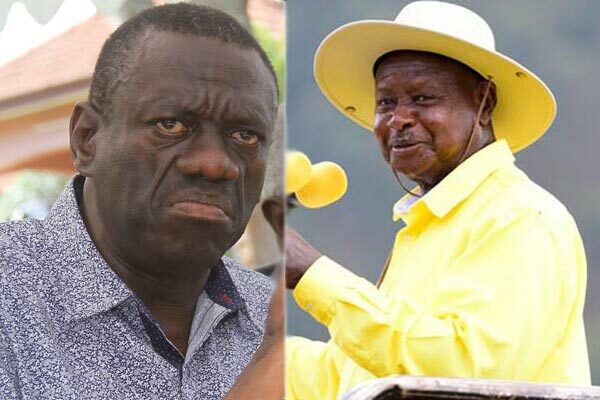 We have been discussing this issue with my team and I must say, i’m seriously considering challenging President Museveni in the next Presidential elections,” Bobi confirmed to CNN.